Château De Vollore price per day from € 350 . 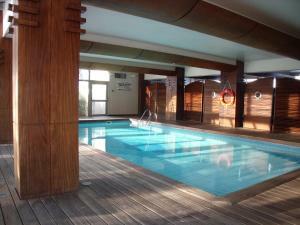 Best Western Grand Hotel de Bordeaux price per day from € 100 The Grand Hotel is located Aurillac city centre, just 500 metres from the Maison des Congres. A buffet breakfast is available each morning and this meal can be served in the guest rooms or in the breakfast room. The Bordeaux Grand Hotel is serviced by a lift and provides luggage storage facilities.. Le Puy Des Vérités price per day from € 90 Set in a large garden, this bed and breakfast offers an outdoor swimming pool and views of the Chateau de la Palice. Each includes either a lounge or study area and has a private bathroom. Camping La Clé des Champs Located in Saint-Nectaire, this campsite features a children’s playground, bowling and facilities for playing pétanque. 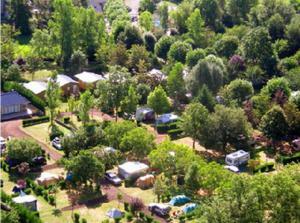 Camping La Clé des Champs offers cottages and mobile homes, all with a private bathroom. All the accommodations have an equipped kitchenette.. Le Domaine Des Grandes Cotes price per day from € 80 . Les Roulottes Du Lac Des Graves price per day from € 80 Set besides Lac des Graves, where guests can enjoy fly fishing, Les Roulottes Du Lac Des Graves sits in a 40-hectacre park surrounded by mountains in the heart of Lascelle, Auvergne Volcanos. It offers spacious and fully equipped wagon-style caravans. They feature a small veranda and come with fully equipped kitchens and dining area. Les Roulottes de la Ferme des Chanaux price per day from € 85 Situated in Chomelix, this property provides self-catering wooden caravans, a vegetable garden and a farm with cows and ducks. Free cooking lessons are proposed by the owner and free private parking is provided. A private bathroom with shower, toilet and free toiletries is also available. 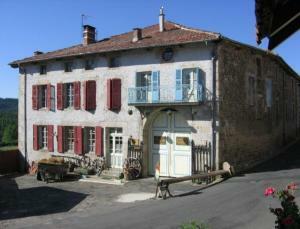 Le Relais de la Diligence price per day from € 55 . Family Hotel price per day from € 79 . Ermitage Saint Vincent price per day from € 55 . 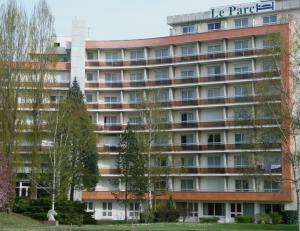 Hotel Parc Rive Gauche price per day from € 50 . Inter-Hôtel de l'Univers price per day from € 69 . Le Mont-Dore: recommended ski resort for beginners. Vic sur Cère: recommended ski resort for beginners.